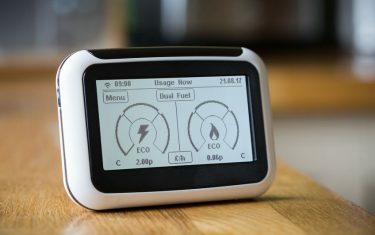 With the smart meter roll-out picking up pace, many people, both within and outside of the energy industry, are looking into the career benefits of becoming a smart meter engineer (or installer). Smart meter installers are trained to fit new gas and electric meters into people’s homes and businesses, maintain and repair them and explain how they work, including offering impartial energy efficiency advice. 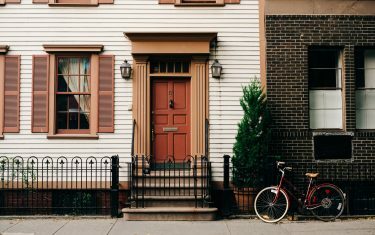 Smart meters have been designed to enable customers to more accurately monitor their energy consumption, including which appliances use the most. This is expected to drive down consumption with associated financial and environmental benefits. A typical smart meter installation will involve visiting premises, removing existing meters, fitting and testing new smart meters, explaining how to use the meter, including how to monitor and optimise energy consumption, and answering any questions the customer may have. Smart meter installers will not be expected to sell energy plans or appliances to people. Most smart meter installers will be employed to work 35-40 hours from Monday to Friday, with some entered on to a weekend standby rota. Salaries are expected to range from between £21,000 to £24,000 per annum for newly qualified engineers, with some senior engineers earning £28,000 to £40,000 per annum. Mileage and other expenses may be included in some packages. With energy companies needing to meet the government’s target of 50 million installations by 2020, the demand for engineers is going to be high (perhaps as much as 13,000). In addition, becoming trained in smart meter installation offers a path into the energy industry or a way to climb the energy career ladder. For those people interested in becoming part of the smart meter installation project, the most important prerequisite is to be professionally trained by an authorised training provider. For those people already employed with an energy company, this can be arranged through their employer. Alternatively, some training providers, like ECTA Training in Stockport, can offer trainees placements through a metering recruitment agency. Although some employers may require candidates to possess four GCSEs or their equivalent, there are no academic or industry qualifications needed prior to enrolling on a metering training course. As installation requires travelling to people’s homes, a UK driving licence is vital. Although customer service skills will be taught during the metering courses, an affinity with people and good communication skills will be an advantage as will a good grasp of mathematics and electronics. ECTA are one of the UK’s leading trade skills training providers and they are offering three Level Two diplomas in Smart Metering covering gas, electric (power) and dual fuel. Training is divided between classroom tuition in their custom-built Stockport centre and on-the-job installation alongside a mentor. Classroom learning includes both theoretical and practical elements and is assessed via 17 written papers and practical assessments. When out with their mentors, trainees will gradually move from observation to partial and then full installations. Once they have carried out eight successful independent smart meter installations, an external assessor will be brought in to sign them off. Towards the end of their dual fuel or gas course, trainees will also take the CMA1 and MET1 ACS (Accredited Certification Scheme) Gas examinations. They will become Gas Safe registered, and will have the opportunity of moving on to other gas installation and engineering work. The cost and duration of smart meter training will depend on existing qualifications and personal requirements.